Tip: Cover all the bases. It’s common to pick up the .com, .ca, and .net domain names all at the same time, so that nobody else has a similar name. Tip: Match the domain to the company name as closely as possible while keeping the domain name short. Remember, people will have to type this in their browser and use it for email addresses. Visitors now understand that the “.ca” domain extension means your are Canadian company. Use it to your advantage! 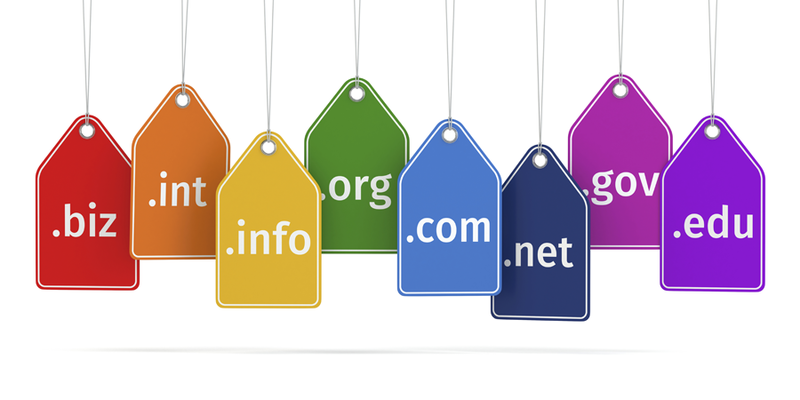 Tip: Non Profits and Charities often use the “.org” domain extension. When you buy a domain you purchase registration periods in terms of years. You can buy from 1 to 10 years at a time. Hint: Google ranks your website higher if your domain registration period is longer. How long is a domain name good for? Domain name registration can be for as little as one year, and up to 10 years. Longer periods are better because (1) you don’t have to remember to renew each year, and (2) Google likes websites with longer domain registration periods. Domain prices are based on the extension you want (.com, .ca, .org, etc) You can easily find the price of a domain by searching for the domain your thinking of above and you will get the associated pricing. Keep in mind the tips shown above to make sure you get the right domain extension for your type of business. Domains that are not renewed are reserved for a short period of time after the expiry, then put back on the market for someone else to use.